"Cube Cubie 120 Walk 2019" hefur verið sett í körfuna þína. CUBE Cubie 120 jafnvægishjólið er frábært fyrsta hjól. Hjólið er vel hannað og börnin læra að halda jafnvægi. 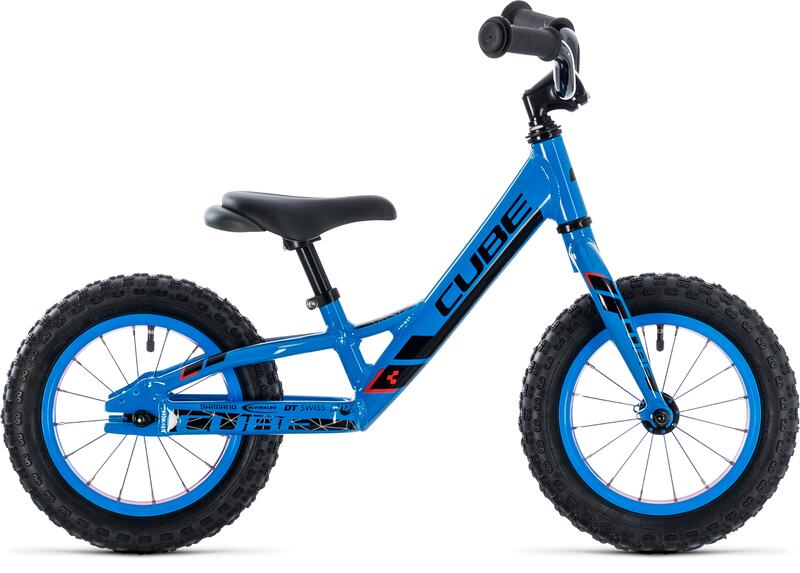 The Cubie 120 WALK is designed to ease your little one into the wonderful world of bikes, building confidence in a fun and safe way. Despite its simple appearance, it's stacked with our usual attention to detail. A special heatset setup - with integrated steering angle limite - helps prevent accidents caused by over-enthusiastic steering. There's a carry handle integrated into the seat, so that you can scoop up the Cubie 120 WALK and carry it easily when your child's adventurous spirit has waned. We even included a second seatpost and saddle combo, to allow for plenty of growth. Proper pneumatic tyres provide comfort, roll easily and help make the ride fun. The aluminium fork is light and strong, just like the frame. 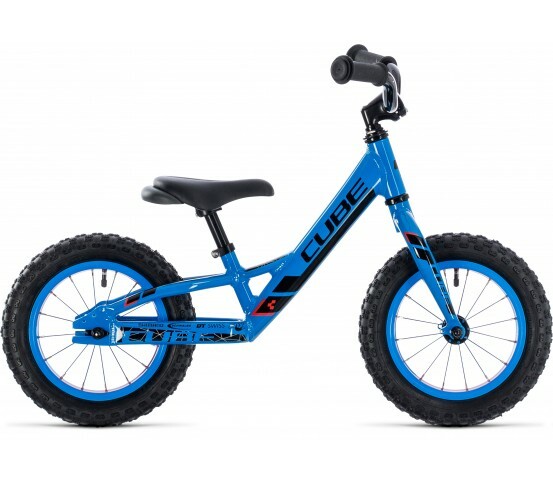 As for the lack of brakes... well, experience has shown that kids this young don't have the finger strength and coordination required to brake safely, which is why this is a bike that's both propelled and stopped by your child's feet. It's the ideal way to discover the fine art of balancing, to build confidence and to generate enthusiasm for the joy of riding bikes.